You've got to hand it to the memory guys and gals. Higher speeds have been known to offer limited real-world benefit in most mainstream applications, yet the engineers at big-name manufacturers continue to push the envelope. It is often G.Skill who holds top spot. 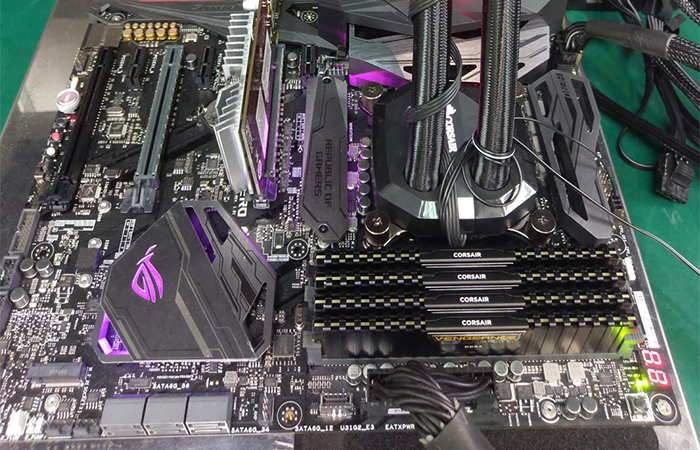 The Taiwanese-based enthusiast brand has announced a 16GB (2x8GB) DDR4 kit at 4,600MHz in recent months, as well as a 32GB (4x8GB) kit that'll do 4,266MHz, but Corsair is fighting back with a new world record of its own. Enter the Vengeance LPX CMK32GX4M4K4333C19. The name doesn't exactly roll off the tongue, yet that awkward arrangement of numbers and letters is significant. Picking out the pertinent parts reveals that this is the world's first 32GB (4x8GB) DDR4 memory kit able to run at 4,333MHz. If you're counting every last drop, that's 67MHz faster than G.Skill's nearest 32GB kit, though in the interest of splitting hairs, Corsair does use relatively loose CL19-26-26-46 timings at 1.5V. 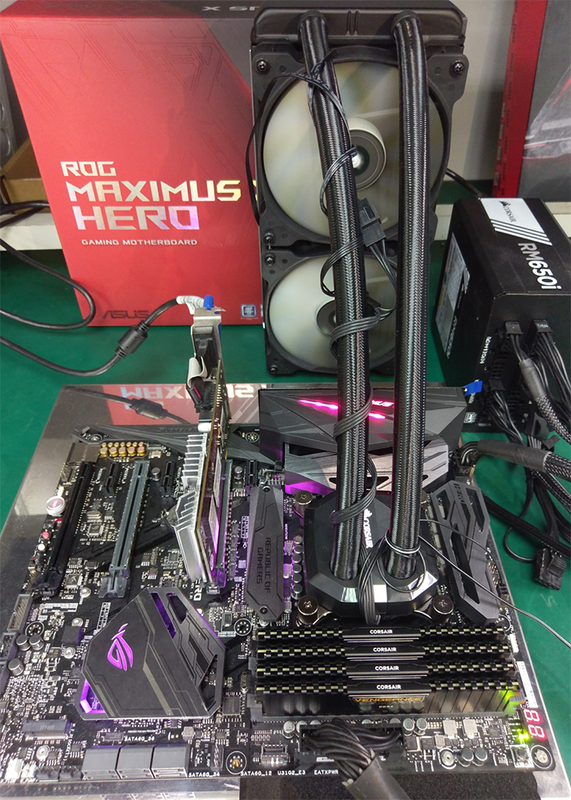 Showing the XMP 2.0-compliant kit in action ahead of retail availability next month, Corsair has chosen to demonstrate the high-end Vengeance LPX modules on an Asus ROG Maximum X Hero motherboard outfitted with an Intel Core i5-8600K processor. We're told the modules are backed by a lifetime warranty and derived from "hand-sorted and extensively binned Samsung B-die ICs," and though their first outing is in Vengeance LPX flavour, we imagine Vengeance RGB and premium Dominator Platinum interpretations will follow at a later date. How much, you ask? Well, there's no official confirmation of pricing as yet, but we'd expect to see the record-breaking 32GB DDR4-4333 kit positioned north of £500. That makes the Christmas shopping list awkward. An Xbox One X with a couple of games, or a super-fast 32GB DDR4 memory kit? Nobody said living on the bleeding edge would be cheap. Meh,maybe they should try and bring down the cost of “slower” RAM sets in the first place,but I expect they will take their time just like with hard drives. 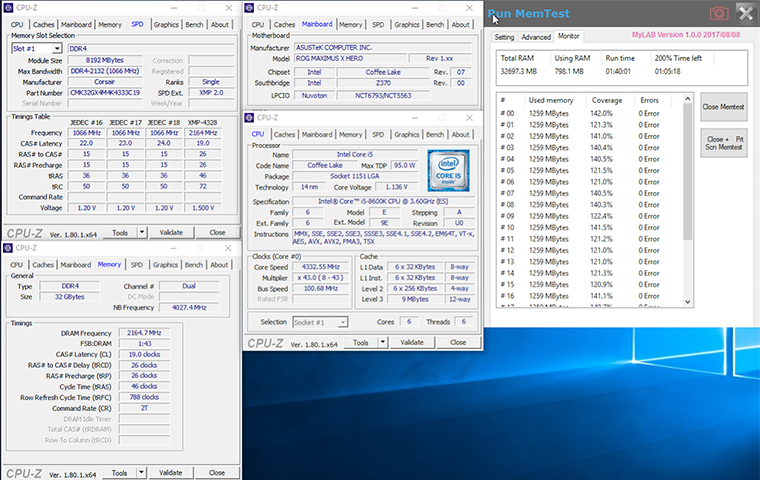 16GB of 3000MHZ~3200MHZ DDR4 is now getting closer and closer to £200. It reminds me of when I had to pay £200 for 2GB of DDR2 and when the memory companies got fined for some earlier price fixing,it conveniently dropped in price quite a bit after that. At this point the cost of RAM is probably a major issue when speccing a new build - its actually similar in cost to many CPUs now. 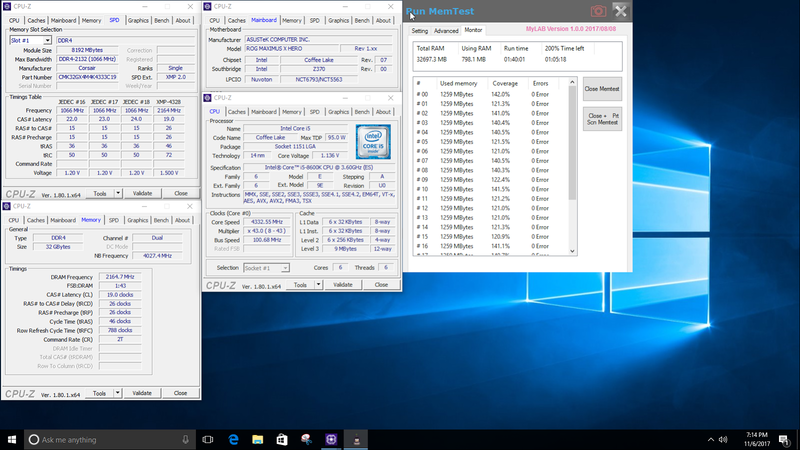 It is hilarious when higher speed DDR3 at the same clockspeed can be had for less than DDR4!! In the end even though I am stuck on an old IB Core i7,the overpriced RAM is really putting me off upgrading. Luckily I do have some 16GB low latency DDR4 running at 2400MHZ which cost me only £56 earlier in the year,but looking at new CPUs from Intel and AMD especially for certain games I play,it is going to mean the performance of any newer CPU is going to be held back,but ultimately I am not going to pay more for the blasted RAM than the actual cost of the CPU!! You are not the only one not upgrading to newer platforms because of the RAM pricing, Amazon and Ebuyer had the 1600 for sale at £135 last week, if I could have gotten some 16GB RAM for under £100 I'd have bought that instantly with the free games it would've been one hell of a bargain, shame on the RAM producers for their price fixing. how many people are realistically going to buy kits like that especially when there is so little actual rear world performance gain Evan the price for basic ddr4 ram kits are ridiculous anyway since i built my rig the price of the kit i used has nearly dabbled. Same here, I'm still running a Westmere Xeon Hexcore for this very reason, I know that I can get about 40-50% extra perf in IPC from newer chips, but the cost of the ram is putting me off. I'd buy it, if it ran that fast on a Ryzen-based System.